Mildred Edith Williamson, 89, of Middletown, died Friday, January 18, 2019, at her home. She was born in Blue Ash, Ohio on September 20, 1929 to parents Alford and Bernice (VanSkaik) Martin. 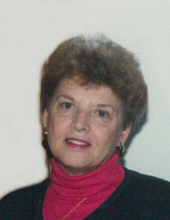 Mildred was a loving wife, mother & grandmother who will be greatly missed by her husband, Jack Williamson; three children, Linda Marie (Allen Taylor) Hardin, Jack (Debra) Williamson II & Cherice Ellen (Mark) Perry; six grandchildren, Nikki Kirsch, B.J. Williamson, Lori Guyler, Todd Williamson, David Wright & Tyler Gairland; eleven great grandchildren; sisters, June Hamwilder & Wanda Sams; many nieces, nephews & wonderful friends. She was preceded in death by her parents; sisters, Eva Donahoe, Virginia Gibson & Sandra Ashburn brothers, Charles, Lawrence, Bill, Howard, Eddie, Bobby Joe, Jack & Leslie; and son-in-law, Donald Hardin. Funeral Service will be held Wednesday, January 23, 2019 at 10:00am at Wilson-Schramm-Spaulding Funeral Home, 3805 Roosevelt Blvd., Middletown with Reverend Dr. Max Fernandez officiating. Visitation will be Tuesday from 5:00 - 8:00 pm at the funeral home. Interment will be at Woodside Cemetery. To send flowers or a remembrance gift to the family of Mildred Edith Williamson, please visit our Tribute Store. "Email Address" would like to share the life celebration of Mildred Edith Williamson. Click on the "link" to go to share a favorite memory or leave a condolence message for the family.